Yesterday, Pakistan issued visas to the mother and wife of Jadhav, who is in a Pakistani jail on charges of spying. NEW DELHI: The Ministry of External Affairs (MEA) on Thursday said that both India and Pakistan are engaged in working out the modalities of the meeting of former naval officer Kulbhushan Jadhav with his wife and mother. MEA Spokesperson Raveesh Kumar said, "Modalities of this meeting are still being worked out and who goes when, how do they go, how does the meeting takes place, these are the things both countries are engaged in." "Pakistan High Commission in New Delhi issued the visas to the mother and wife of Commander Jadhav to visit Islamabad to meet him, today," Pakistan's Foreign Office spokesman Dr Mohammad Faisal tweeted. The visas have been issued to Jadhav's wife and mother for their Pakistan visit to meet him on humanitarian grounds. The Indian High Commissioner in Pakistan will also be allowed to accompany Jadhav's family during the meeting. Earlier this month, Pakistan had agreed to facilitate the visit of Jadhav's mother and his wife and also assured their safety, security and freedom of movement in the nation. 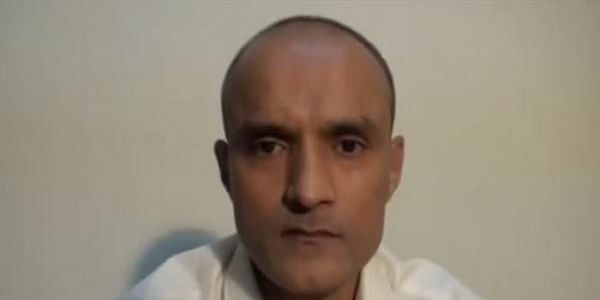 Jadhav was arrested in Pakistan's Balochistan Province over charges of alleged involvement in espionage and subversive activities for India's intelligence agency - the Research and Analysis Wing (RAW). India, however, maintains that Jadhav was kidnapped from Iran, where he had business interests after retiring from the navy. Jadhav was sentenced to death by a military court in Pakistan this year in April. However, the International Court of Justice on May 18, 2017, stayed the hanging after India approached it against the death sentence.